Solar and other renewable energy sources can now compete with coal to supply power for light rail transit systems. At the same time, it’s getting easier to change motorists’ car use. The climate effect of light rail transit systems has been controversial: Sceptics claim that light rail systems powered by coal or other fossil fuels will leave a carbon footprint only slightly smaller than that of cars and buses. The other concern is that light rail systems are not always designed to get people out of their cars and onto trams. However, Peter Newman, Professor of Sustainability at the Curtin University in Perth, Australia, believes these challenges will soon be a thing of the past. - Light rail is one of the really important solutions to climate change, says Peter Newman. Together with colleague Jeff Kenworthy he has just published a new book on the transformation of urban transport modes, “The End of Automobile Dependence: How Cities are Moving Beyond Car-Based Planning”. - It is possible to make a light rail completely carbon free using tram batteries that are recharged at station stops using power generated by solar energy. We now have solar power and batteries that together are cheaper than coal-fired power in Perth, my home town. In recent decades, light rail has enjoyed some success, especially in Northern Europe and the U.S. The popularity of trams faded with the car revolution of the 1950s and 1960s, but engineers have since improved on them. Today’s light rail can carry more passengers and runs faster and more quietly than the old trams. But the potential is much bigger, argues Peter Newman, who has studied light rail systems all over the world. - The big advantage of the system is how it can reduce car use. Light rail is a brilliant way to make cities more compact, as every developer and every business would like to build their development around the stations, their being so attractive to live and work near. Around the world the young and the wealthy are moving back into cities, where they can live and easily reach good work opportunities without having to sit in terrible traffic every day, explains the professor. - The Ring 3 Copenhagen is an example of how a light rail system can make a city more compact and create new growth areas around the stations. It connects 6 S-Bahn lines and main hubs such as The Technical University of Denmark, Herlev Hospital and the residential suburbs Lyngby and Glostrup. Ramboll plays a main role in the development of this system, says Nils Jänig. Ramboll is a consultant on several ongoing light rail projects, particularly in Scandinavia and Germany. 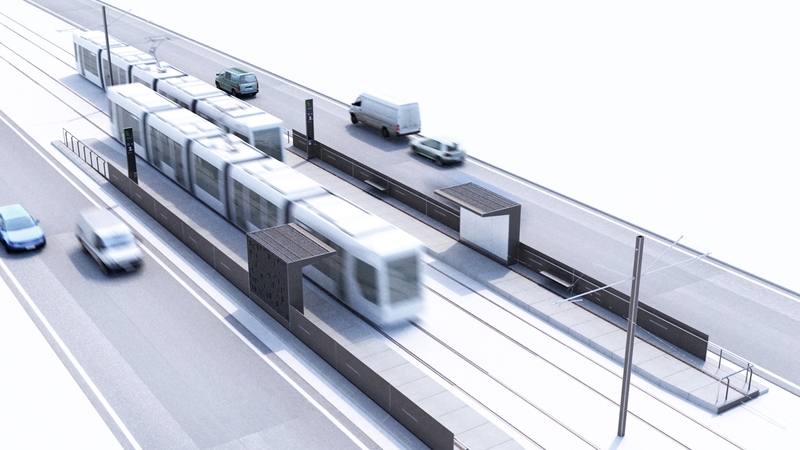 In 2014 Ramboll founded a new light rail system competence center in Karlsruhe.